Pitchork President CHRIS KASKIE will participate in a discussion on the ever-changing ways that publications once limited by the browser can re-imagine themselves. CHRIS KASKIE is the President of Pitchfork, the award-winning online music magazine Time has called one of the world’s 50 best websites and the New York Times hailed as “The most prominent brand in online music journalism.” With more than 5 million unique visitors each month and 500,000 visits each day, Pitchfork has one of the Web’s most loyal audiences and is considered one of the world’s most popular, trusted, and influential music publications. 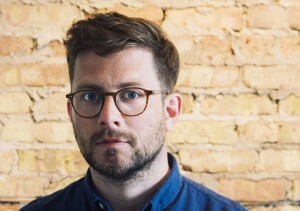 Starting in 2004 as Pitchfork‘s first full-time employee, CHRIS has overseen the company’s day-to-day operations, guiding its development and growth - the Pitchfork Music Festivals (Chicago and Paris) and Pitchfork.tv being just two of numerous success stories. Chicago’s edition of the Pitchfork Music Festival has been hailed as “one of the best, brightest ideas in Chicago rock history.” While continuously exploring new ways to reinvent how Pitchfork can push its content forward and reach music fans worldwide, CHRIS has also led the expansion of Pitchfork‘s coverage beyond music into the film world with the launch of The Dissolve as well as Nothing Major, a site devoted to design and emerging visual culture. He resides in Chicago with his wife and two children, working out of the company’s headquarters in the Logan Square neighborhood. Previous postStimmen zur WORD!-Konferenz 5./6. September @BERLIN MUSIC WEEK 2013 Next postVEVO: How do music videos work nowadays?